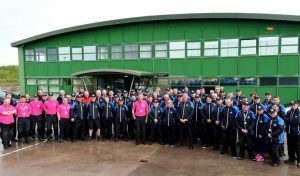 Some people may think we put our feet up and get the cards out once the doors close at The Castle Course, but this is about as far from the truth as you can get. 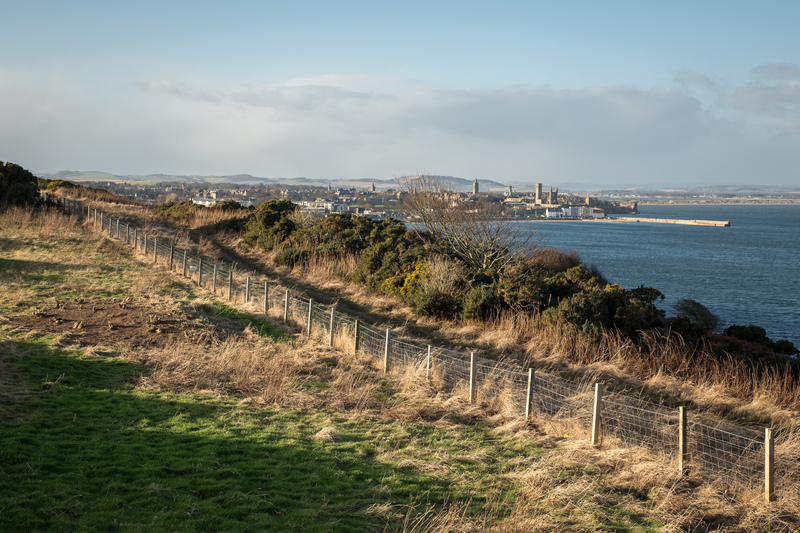 Winter time can be a busy period where a whole list of jobs you would like to achieve is set and then you have to hope the weather gods are on your side. 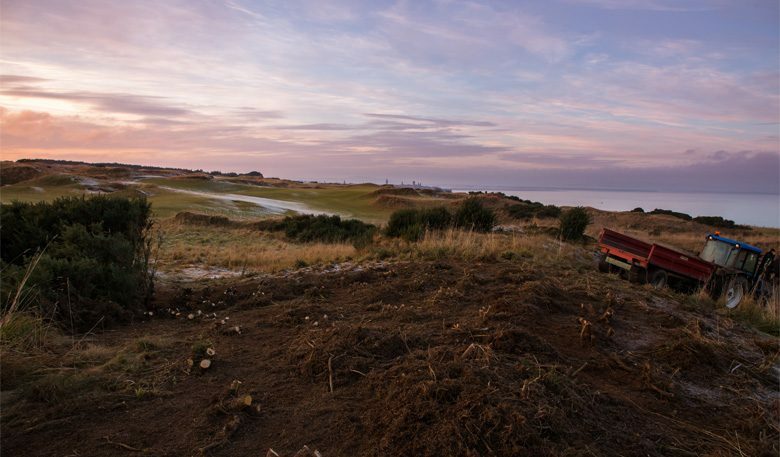 I personally look forward to it as tasks change from mowing and presentation to more construction and improvement of the course for the year ahead. A lot of what we do in the winter months is essential to making it playable for the entirety of the busy summer months. So, what did we achieve whilst you were away? 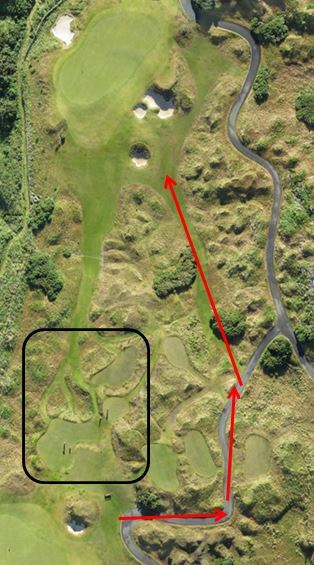 One of the first jobs completed was a back tee extension and the building of a new forward tee on the 8th hole, both of which are situated closer to the pathway marked by the red arrows in the aerial image below. This was done to help ease the footfall wear on the main playing tee (circled) and the grass walkway closest to it before we reached the busy season. 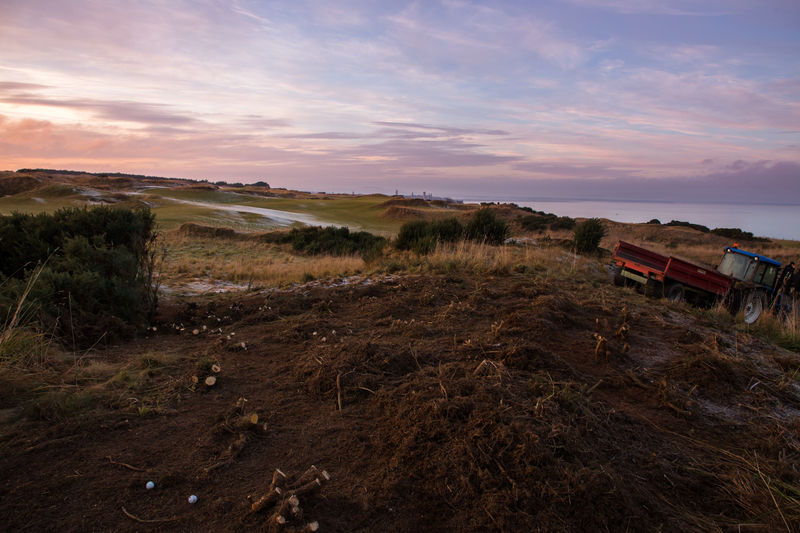 Once these tees were finished, our attentions turned to improving a few areas of the course which we thought could be visually more impressive. 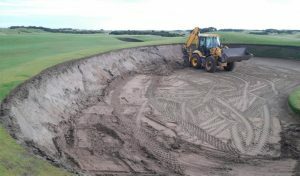 This required moving some of our haul roads at the 5th green / 6th tee area and near the 18th tee. The process involved mapping out the new routes, stock piling the necessary re-surfacing material, digging out the new road and finally laying it. 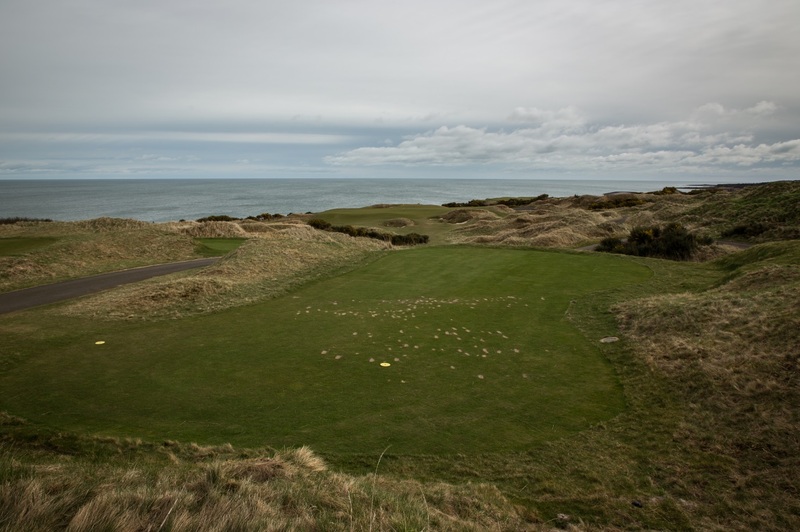 These two roads are used often by staff, but are now further away from playing areas and mounding has also been added in places to screen it out of players’ views. 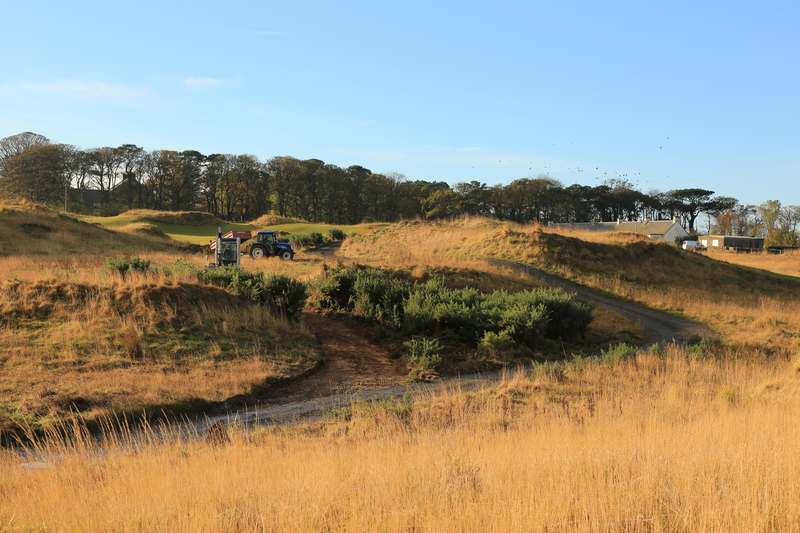 Once these tees and roads were completed, we moved on to improving a few areas of the course which we thought could be visually more impressive. 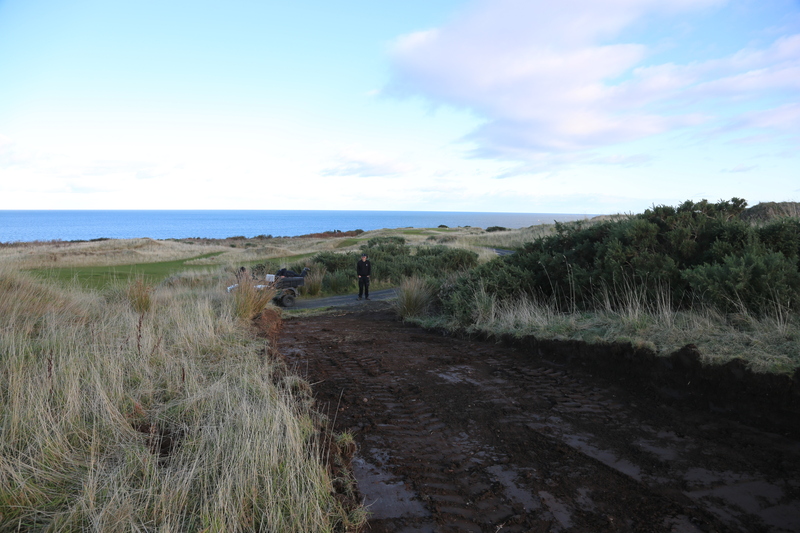 During the road changes at the 6th tee, we looked at improving the viewing platform which had become tired and needed a revamp. 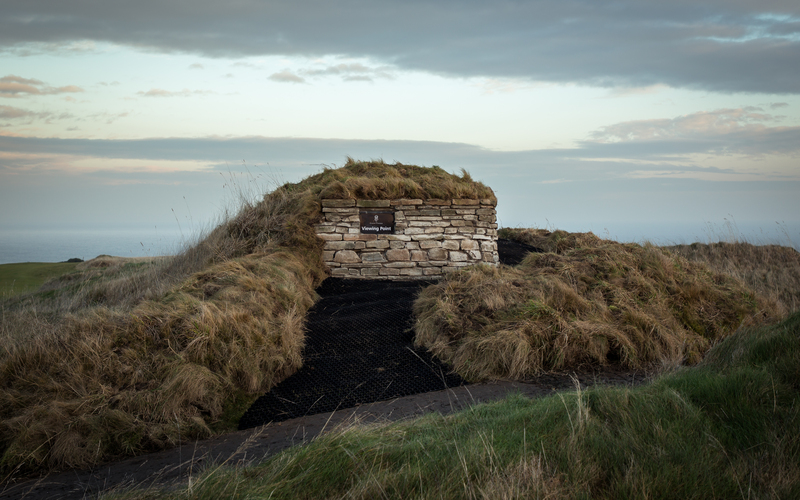 Two of the team, using some building expertise, turned this area into something a little more impactful and after a few months it’ll look like it’s always been there and blend seamlessly into the landscape. 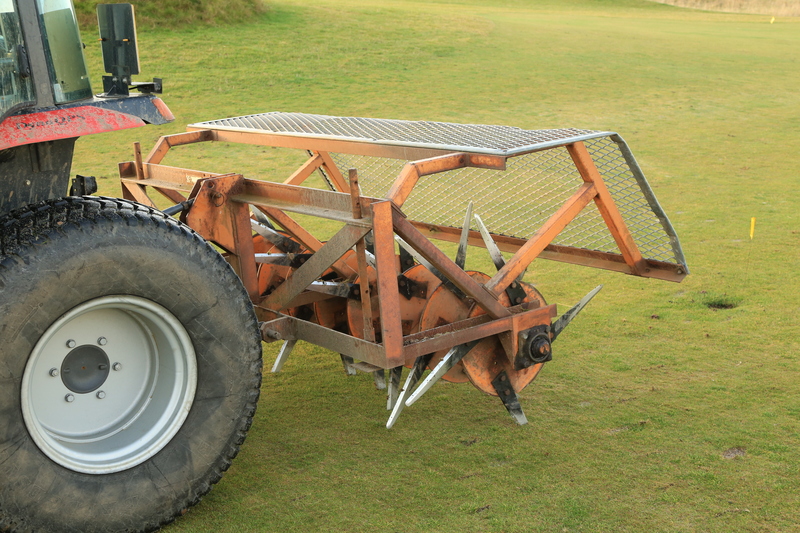 We also carried out some good old fashioned winter greenkeeping with many areas receiving some form of aeration. 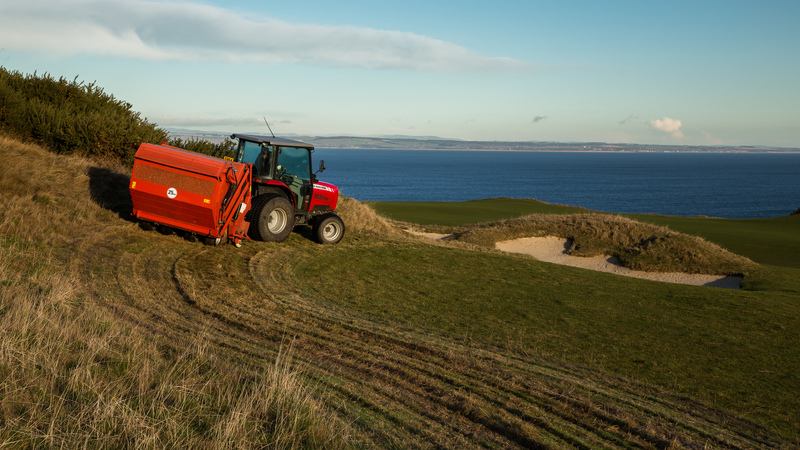 A large amount of gorse around the course has been removed but where possible we’ve tried not to lose the definition and visual impact of affected holes, and you’ll all be pleased to know large areas of deep rough were also cut and collected. That’s all for now. 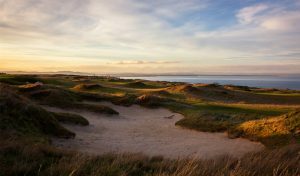 A greenkeeper’s work is never done, so I look forward to sharing with you our exciting projects planned for the future.